Today I met the greylag goslings at nearby South Wootton village pond for the first time. The three fluffy babies were sitting close to their parents near the pond. We think they could be two to three weeks old. To our knowledge, they are the first goslings to be born at the pond so it was a treat to see them. The geese didn’t seem to be interested in the grain we offered them, until, that is, we threw some to some mallards closeby. 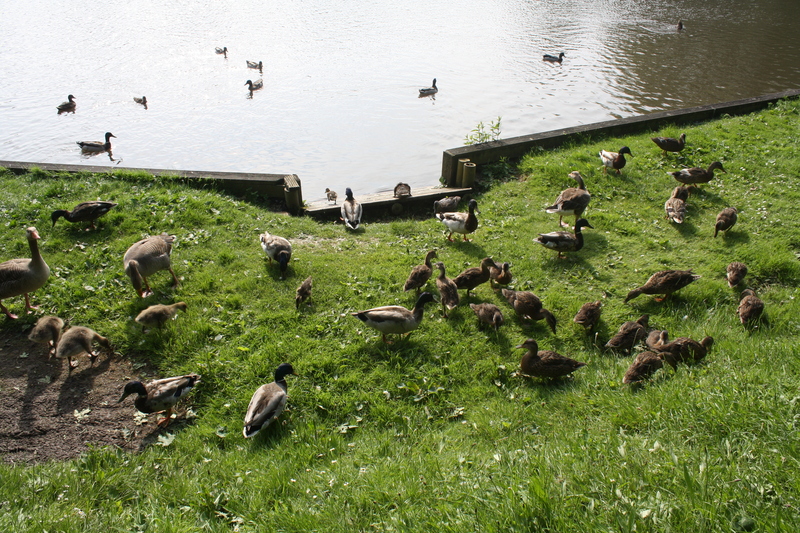 Then the geese stood up and started feeding! The adult greylags sometimes extended their necks to try and nip the ducks, even the ducklings. Some of the ducklings were really small, while others looked to be at the “high school stage”. 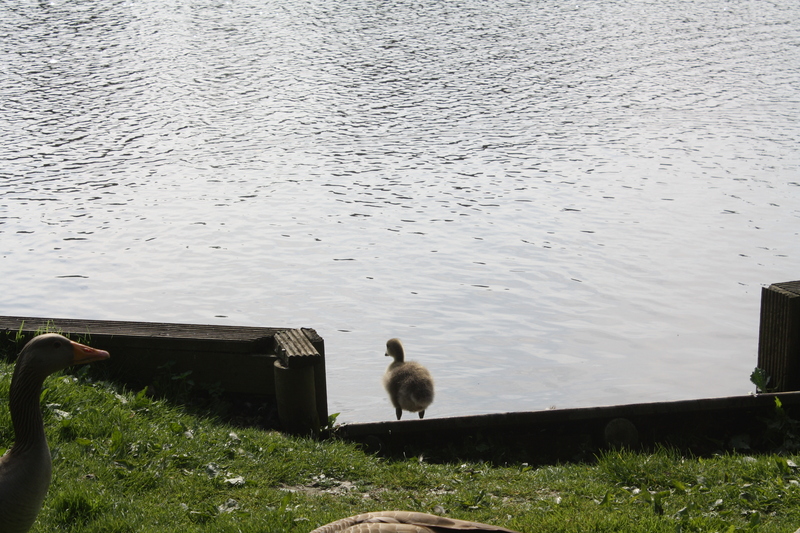 We saw one gosling take to the water for a short dip. There is a third adult greylag in South Wootton. As I watched a male mallard walking a few feet from us in the sunshine (yes, we actually had some today) I noticed how the iridescent plumage on his head changed to different colours as he turned. There was a shimmer of purple, then green, then blue. I thought they just had green heads! As we walked through the recently mown grass on the field, lots of small grass moths fluttered into the air.